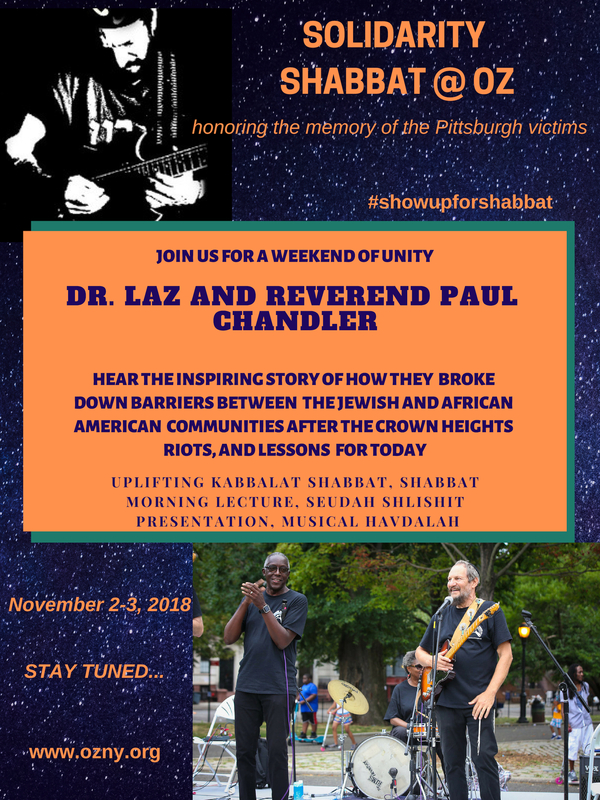 Ohab Zedek joins the American Jewish Committee for a Shabbos of Solidarity, in memory of the Pittsburgh victims. We are privileged to host Dr. David Lazerson and Reverend Paul Chandler. After the 1991 Crown Heights riots, a Baptist minister together with a Jewish community leader joined forces, and created a new kind of racial harmony. They have been performing and lecturing together ever since. On Shabbat morning, they will inspire us with their story about how they overcame tragedy. Shabbat starts with Dr. Lazerson leading inspirational davening, and concludes with him leading a musical Havdalah.